Gun safe is one of the most practical and useful ways for you to be able to store your firearms. Many safes offer you the ability to store multiple weapons, and provide you with a great organization system so that you can store much more than just rifles and handguns. They give you a safe place for your jewelry, important documents, passports, and other items you simply cannot afford to lose. While the safe is a secure place that gives you peace of mind, there are things that you can do to make it a much better place to store your items. 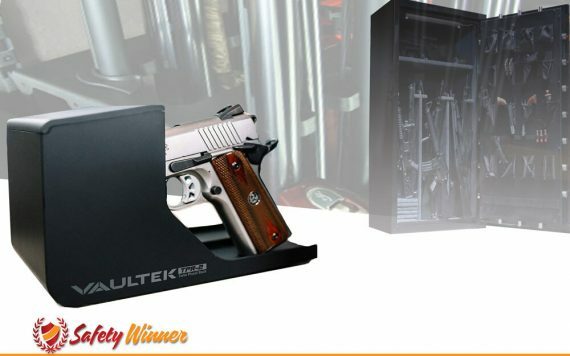 In this article, I like to show you the list of best gun safe accessories that your safe will most definitely need. Here are a few examples you should consider. A dehumidifier can be a great accessory for a few reasons, but the most significant of these is the fact that it will reduce moisture which will help to protect your firearms from rust or corrosion. The fact is that you’re safe is made out of metal, which can easily build up moisture inside the safe as the temperature inside is cooler than that in the surrounding air around the safe. In no time, moisture can begin to blossom inside the safe. If not opened on a regular basis, you can quickly find that moisture has gotten into the mechanisms of the gun, causing them to corrode or rust, damaging them permanently. To resolve this problem, one of the best options you can choose is to get a dehumidifier. There are several options available out there, including ones that fit directly inside your safe as well as those that can work within the room where your safe is located. There is no right choice that fits everyone. 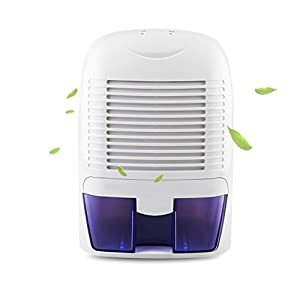 If you have your safe in a room where you have issues with humidity, you may find it to be a better idea to get a dehumidifier that can help to remove moisture throughout the room. This is a great option for those who are concerned with such things as mold or mildew. The corded options obviously let you know that the product is always working. However, running the cord through your safe means drilling a hole, and you may not want to do that if your safe is a waterproof or fireproof option. It is really just a matter of getting a safe that best fits your needs. Because many gun safes are rather small in size, maybe no more than a couple of cubic feet, most see that there is no need for some form of artificial light to be added to the safe. This is a mistake, to be honest. It is likely that you are storing a number of items in your safe, even if they are nothing more than the accessories you use with your firearms. Having a lighting kit inside the safe can make it easier for you to be able to locate items within the safe. Something that can reduce your time in looking for magazines, ammunition, gun cleaning kits, and the like. However, there is another reason that it is a good idea to add a lighting kit to your safe. In an emergency, where seconds matter, fumbling around your safe looking for your firearm to defend you and your family may cost someone their life. Having a lighting kit inside the safe will make it easier for you to be able to locate the firearm you need in a serious situation like this. While some safes come with a lighting system included as part of the purchase, you may find that you have to by a separate kit to add to the safe. There are a number of great kits out there that can easily be installed inside your safe. As with the dehumidifier, you will need to consider what power source you wish to use to illuminate your lighting kit. Obviously, a corded option gives you the ability to have your lights work all the time. However, this requires you to drill a hole through the safe to accommodate the court, something you may not be willing to do should your safety fire or waterproof. If you choose a battery powered option then you do not need to worry about altering the safe in any way. 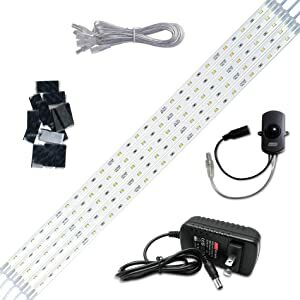 However, you do have to concern yourself with either replacing the batteries occasionally or recharging the lighting kit. There are many fantastic options out there that have extended life batteries that can last up to six months before they need to be recharged. You may want to consider looking into such an option. It does not matter what size safe you buy, what you are likely to find is that you truly never have enough space for all of the items you wish to store. Plus, if you have a number of items and valuables inside the safe, being organized can be a nightmare, especially with smaller items like necklaces and rings. The solution to this is the door organizer. Some safes already come with organizers included as part of your but, if it does not, you will likely find that this product can help to keep you a whole lot more organized. There are many door organizers that you can purchase, and so your place to begin is with the types of items you intend to place within the pouches or on the hooks. Some come with clips to attach keys. You can buy some that are perfect for sliding in your passport or emergency credit cards. Then there are those that are specifically designed to hold anywhere from one to eight handguns. This not only helps you to be more organized but, because of the design, you are able to grab your pistols quickly. At a time where seconds matter, you can quickly find your hand gun and spring into action. It does not matter what size safe you have, as long as it is bigger than the handgun sized safes you can be sure that there is a door organizer that would be perfect for your unit. They are not only practical, but are attractive and are something that every single person should have in their gun safe. The purpose of carpeting is really twofold. First off, it gives the interior of your safe a more attractive look. Regardless of purpose or what you are storing, virtually everyone likes things that look a little better. It’s not necessarily a priority, but is something you should consider. The big reason for having carpeting is the fact that it helps to protect your items. 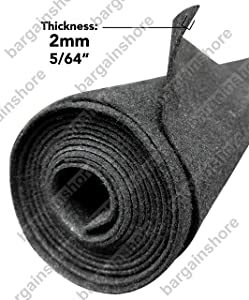 This additional cushion can help to protect your handgun from getting damaged when you set it down on a shelf or if it is shifted for some reason, like during an earthquake. 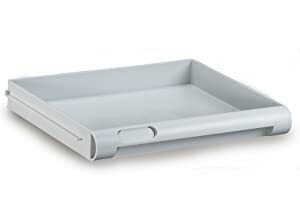 This also helps to keep the safe from being scratched or damaged. Continuously putting metal objects into your safe can eventually lead to scratches occurring. The use of carpet over each shelf removes those concerns. Carpeting doesn’t need to be anything too extravagant. It simply needs to provide an additional layer of protection for your safe and the shelves in it as well as for your valuables. If you are intending to store an external hard drive in your safe, is a really good idea to avoid the direct metal on metal contact between the shelving and the hard drive. While many safes you will purchase come with shelving, adding some additional or purchasing them should your safe not come with shelves is essential. This is the best way for you to be able to organize the interior part of your safe. They are practicaland add a decorative look. Shelving allows you to organize the safe in a way that best fits your needs. You can make specific areas for magazines, ammunition, or gun cleaning equipment. Items that don’t need as much space, but would afford you the ability to locate them more easily. Shelving can also help to keep specific items separate to help locate them. If you have an area dedicated to jewelry, setting up a specific region of your safe to be able to locate it quickly is beneficial for you. Plus, you may like to know that your grandmother’s diamond ring is not coming in contact with gun cleaning solvent. There is also the added advantage of adding greater protection for documents and media that you are storing within your unit. Many people store their mortgage, titles to their vehicle or home, or hard drives or flash drives within their safe. Keeping items that could get oils or dirt onto these important valuables is essential. Plus, they help you to be able to locate things in an emergency. Should you have an intruder break into your home and you need to reach your handgun quickly, having it sitting on a shelf, handle out, makes sure that you are at the ready, assured of defending you and your family. Why Choose Mechanical Lock Gun Safe?